A lot of online chatter is being generated about two of Intel’s upcoming processors that are oriented around overclocking. Firstly the Devil’s Canyon CPU, which Intel has stated will be an enhanced Haswell CPU in a new packaging and higher quality TIM, and also the 20th Anniversary Unlocked Pentium processor, which will aim to replicate the joy of overclocking a cheaper component into something more powerful. It would seem that we might be close to an official launch, given that online retailer Bottom Line Telecommunications (that initially leaked the Haswell Refresh pricing) has erroneously posted information regarding the pricing of these processors as well as some of the technical specifications. 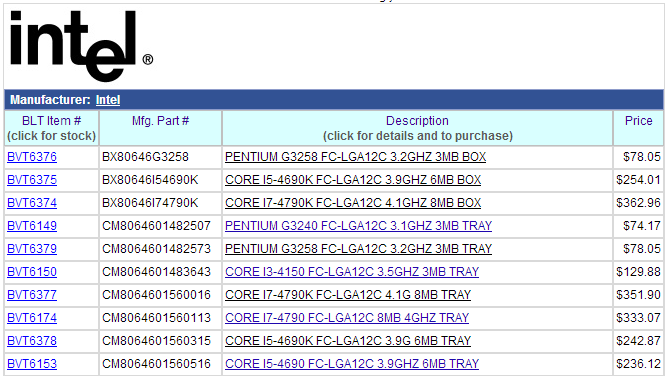 It would seem that the new Pentium processor has a rather innocuous name – the G3258. Personally I find it a shame that Intel did not continue the K SKU nomenclature, but the specifications at the retailer put this as a dual core CPU at 3.2 GHz (in line with the Pentium G3420) with 3MB L3 Cache. It would be safe to assume that there is no hyperthreading given that the feature starts with the i3 range. Pricing for this processor would seem to be $78, which is only slightly more than the non-overclocked version ($75). The leaked image above is from Chinese VR-Zone, showing the G3258 (as shown in the Specification line) built on the 22nm process with 3.2 GHz clock speed, dual core and 3MB of L3. Note that the CPU also does not have VT-d, a common theme with Intel’s unlocked processors. 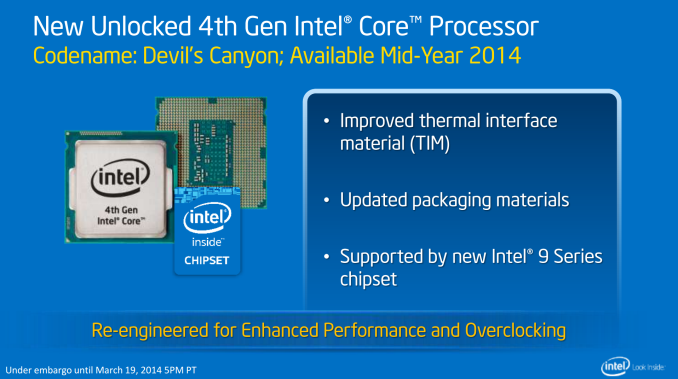 The i5-4690K will have a 3.5 GHz base clock with 3.9 GHz Turbo Boost, 6 MB of L3 cache within a TDP of 88W. Pricing for the boxed version of the i5 would seem to be ~$254. The sources also state that all three processors should be valid on both the 8-series and 9-series motherboards, which makes sense given that they are LGA1150 CPUs. Intel has not officially commented on any of these details. The interest Intel receives from these processors may dictate their future course of action with the newer platforms. When we get samples we will let you know how they perform. While there is nothing official yet with regards how exactly the new CPUs have changed with regards their overclocking potential, as an overclocker, I am certainly looking forward to them. 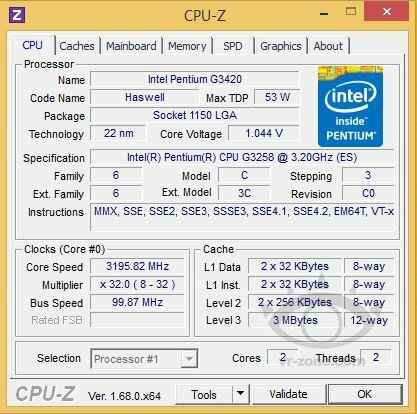 Any sources on the CPU being overclockable only "a little"? Intel CPUs overclock MUCH better than AMD CPUs, which doesn't stack too well for AMD considering that even midrange i5 chips beat its high end products. Intel will not "kill" AMD, just because they will look bad without any competition, Intel has crippled AMD into being a perpetual runner-up. The move to unlock such a cheap CPUs is yet another "stay down" blow for AMD, inflicted in the one of the last market niche AMD still looked "attractive".